PRIME Minister Kamla Persad-Bissessar will today lead discussions on the regional threat posed by the sect known as ISIS in a meeting to be held between Caricom leaders and US President Barack Obama in Jamaica. Persad-Bissessar arrived in Jamaica yesterday and opened the new Trinidad and Tobago High Commission at 4.30 pm, Jamaica time, before attending a meeting of the Caricom caucus of leaders last night ahead of today’s meeting with Obama. Three main items are on the agenda for the meeting with the US President. Obama is to raise the issue of energy security, Bahamas will raise trade competitiveness and Trinidad and Tobago will raise security, Persad-Bissessar told Newsday yesterday, speaking from Jamaica. 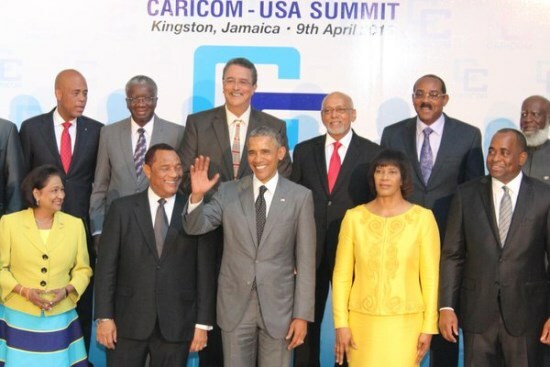 Be the first to comment on "TT PM TO RAISE ISIS THREAT WITH PRESIDENT OBAMA AT SPECIAL CARICOM MEETING"